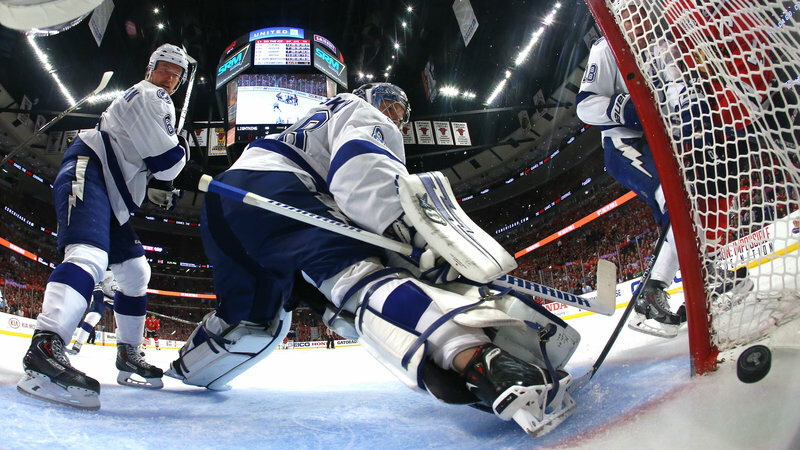 The Chicago Blackhawks were able to beat a Tampa Bay Lightning team without their star goaltender Ben Bishop. Due to an undisclosed injury to Bishop, the Lightning were forced to start 20-year-old rookie goaltender Andrei Vasilevskiy. Vasilevskiy made an appearance in Game 2 where he ended up getting the victory. Vasilevskiy played very well in net, only allowing two goals on 19 shots he faced. Vasilevskiy was out-dueled by the opposing Blackhawks’ goaltender Corey Crawford who stopped 24 of the 25 shots he faced. Tampa Bay supported Vasilevskiy well defensively holding the Blackhawks to a playoff low two shots on goal in the first period. Jonathan Toews opened up the scoring in the second period but Tampa Bay answered when Alex Killorn scored little over five minutes after Toews scored. Despite only allowing the Blackhawks to have five shots on goal, Brandon Saad gave Chicago the lead for good when he scored five-hole on Vasilevskiy at the 6:22 mark in the third period. Tampa Bay was able to get a flurry of shots on goal against Crawford in the closing minutes of the game but Crawford stood tall and stopped every shot from getting in the net to give Chicago the win and even up the Stanley Cup series at 2-2. Ben Bishop is now officially listed as day-to-day with an undisclosed injury. It is still unknown as to whether or not Bishop will be ready to go for Game 5 but if he isn’t Vasilevskiy will get the start in net again for Tampa Bay. Game 5 will be played in Tampa Bay at Amalie Arena on Saturday at 8 PM.